Carnethy Woodfuel supply kiln-dried hardwood to customers in Edinburgh and the Lothians. 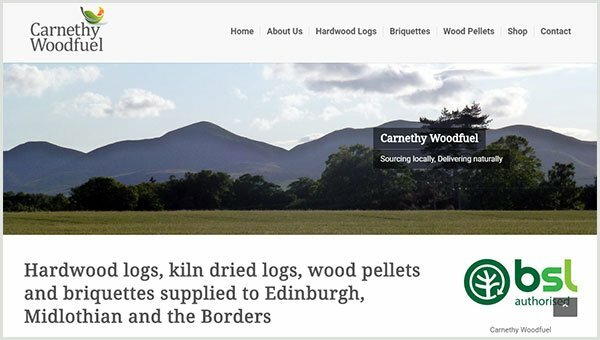 Mark needed an ecommerce website that calculated delivery costs based on customers’ distance from Carnethy Woodfuel. This was achieved through the use of a customised Distance Rate Calculator plugin integrated into the WooCommerce shopping solution.